Tired of the same old cookie cutter classes? No one is paying attention to your form, the instructor doesn’t introduce themselves, you don’t know anyone in class, and there is no measurable way to track improvement. 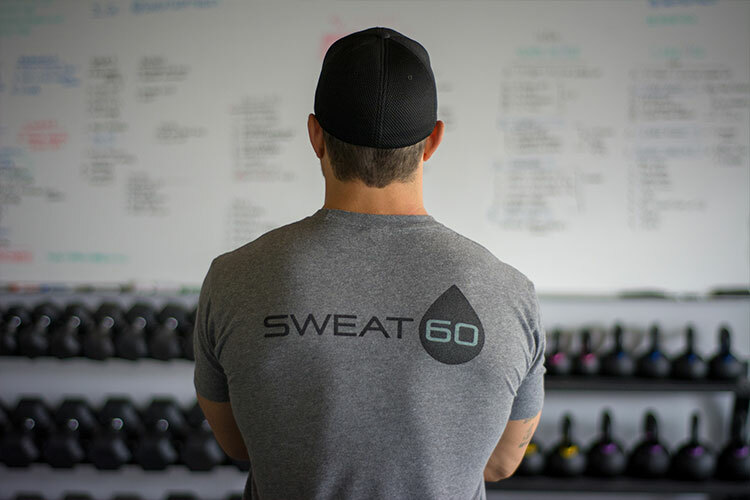 Sweat 60 is your solution - we are an independently owned training club specializing in elite group fitness classes, semi-private training, personal transformation and recovery sessions. Our powerful training programs are catered to meet your needs whether you’re a D1 athlete, or would just like to train like one. Three key elements: High-level coaching, an inclusive member experience and a supportive community. Sweat 60 coaches are personable, positive and there to support you in achieving your health goals. 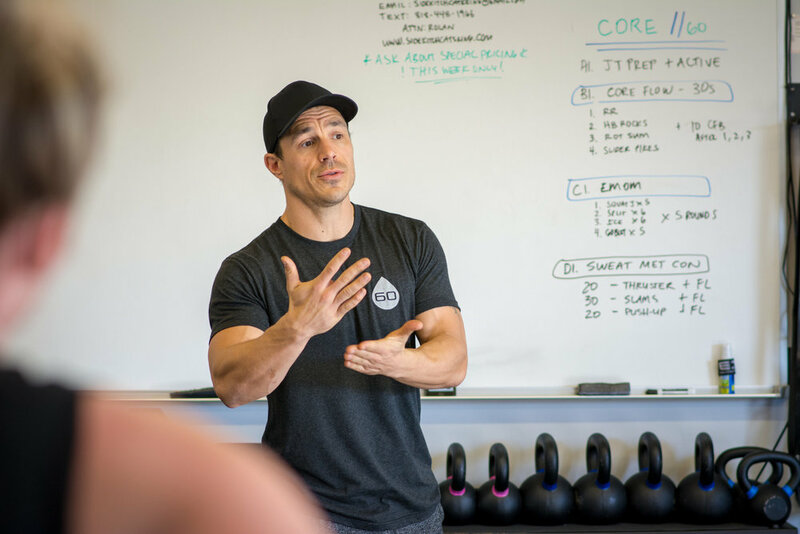 It also doesn’t hurt that they have a combined 15+ years of experience coaching, are former college athletes, and hold NASM, Precision Nutrition and Kettlebell Certifications. Sweat 60 workouts are designed to deliver maximum results. We do this through a systematic approach to mobility, strength, conditioning, nutrition, sleep and recovery. Our goal is to get you to reach your best possible level of performance, injury free. We use multiple forms of measurements to track your results. This includes progress photos, Body fat analysis, nutritional monitoring, as well as the Sweat Standards Program, a series of challenges designed to test your athletic ability, strength and conditions that are used to set personal goals. Every 6-8 weeks we will evaluate and make adjustments based on your goals. Working out is only part of the equation. 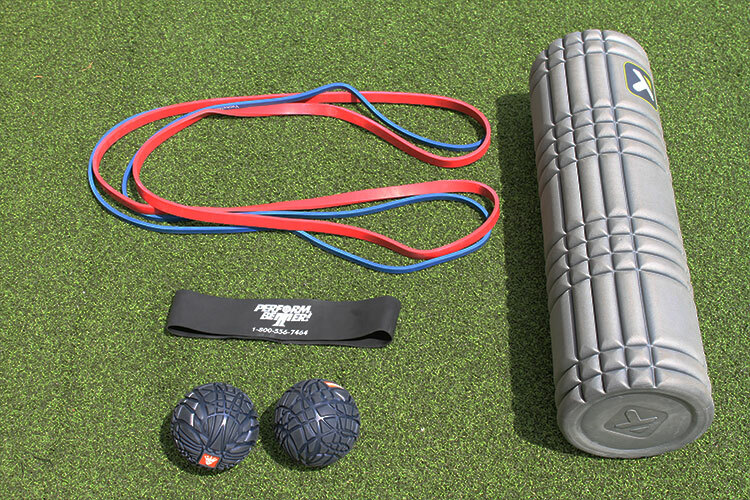 At Sweat 60 we provide resources to get the best results possible. Take the challenge and schedule your free sweat session today.